Cletorious Aretha Fry, the Virginia fugitive who drew massive attention on social media, has been captured. CHARLOTTESVILLE, Va. (WVEC) -- The Virginia fugitive who drew some massive attention for her name has been captured. 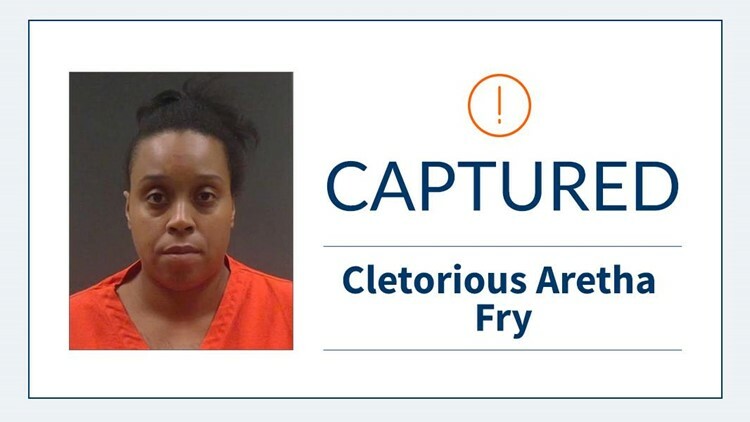 The Virginia Department of Corrections posted a message on their Facebook page last Monday, Jan. 15 telling their followers to keep a lookout for Cletorious Aretha Fry. The post garnered more than 20,000 reactions and 90,000 shares. The 34-year-old was wanted for violating the terms and conditions of her supervised probation after she allegedly removed her ankle bracelet. VDOC posted on Tuesday that Fry was captured.